Power, versatility and convenience are all here: you don't have to choose between them. The Power Head is the heart of your EGO POWER+ Multi-Head System. The high-efficiency brushless motor makes the most of all EGO 56V ARC Lithium™ battery (available separately). 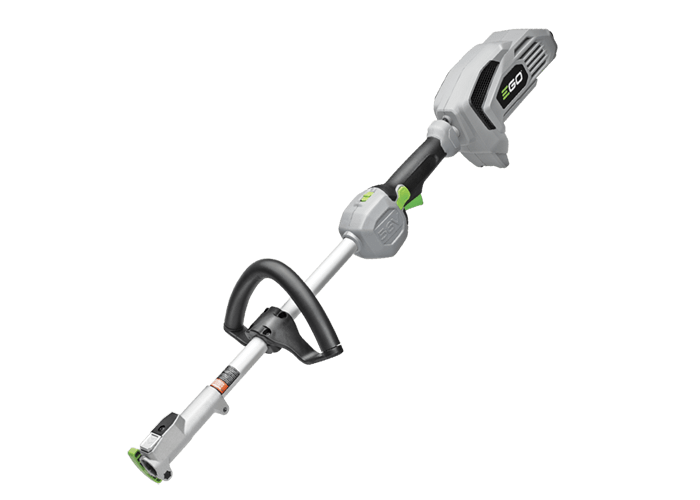 Take advantage of one or all of the full assortment of EGO POWER+ Multi-Head attachments: Pole Saw (PSA1000), Edger (EA0800), String Trimmer (STA1500) Pole Saw Extension Pole (PSA1000) and Hedge Trimmer (HTA2000). You have the flexibility to choose what you need and when you need it. Compatible with all EGO POWER+ ARC Lithium™ batteries (available separately) to deliver Power Beyond Belief™. The EGO cultivator attachment is a great addition to the EGO POWER+ Multi-Head System. The heavy-duty steel tines are adjustable from 8 to 9.5 inches. Ingenious technology and very durable!! I purchased the EGO Power Head System last month. It works perfect with the EGO Lawn Edger Attachment. I'm very impressed with the EGO Series of tools, ingenuity, and high quality performance. Thank you for being there!! !